MANOLOGABBIADINI used to work as an apprentice mechanic.At Wembley, he provided Southampton with all the tools they need to win their first major trophy since 1976. But in the end all his wonderful efforts could engineer was a glorious failure. 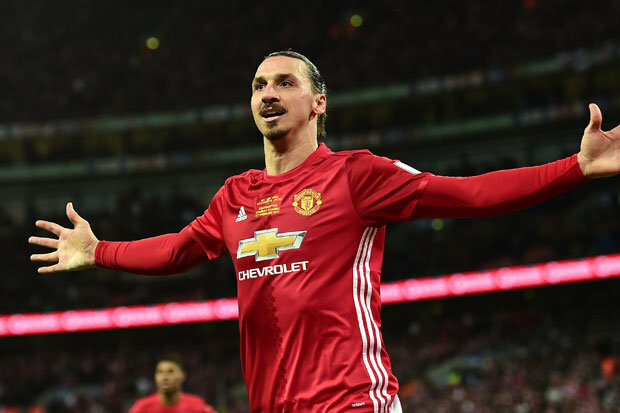 Putting the spanner in the works was Zlatan Ibrahimovic, who scored twice including the winner with just four minutes remaining to give Manchester United their first trophy under Jose Mourinho. 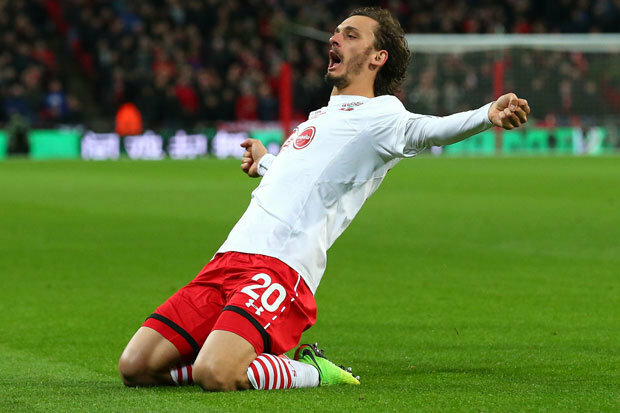 But if one person deserved to be lifting the EFL Cup instead of the super Swede, it was Saints’ new hitman Gabbiadini. 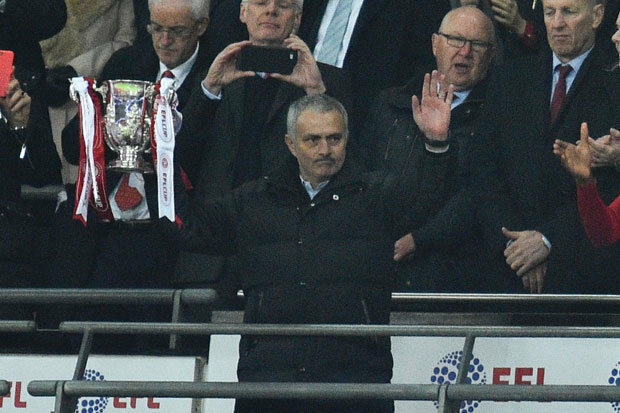 He hauled the Saints back from the brink after United had charged into a two goal lead. He pulled one back on the stroke ofhalf time, then made it 2-2 three minutes after the re-start.With the Italian international in full flight, Claude Puel’s men were in fifth gear and in serious danger of leaving United in their slipstream. Gabbiadini should have had a hat-trick too. He opened the scoring with a legitimate goal, only to see it ruled out for off-side due to the incompetence of the match officials. The shocking decision cost Gabbiadini and his side dear – as did Puel’s questionable decision to take off his most dangerous attacking threat in the second half with the outcome of the game on a knife edge. 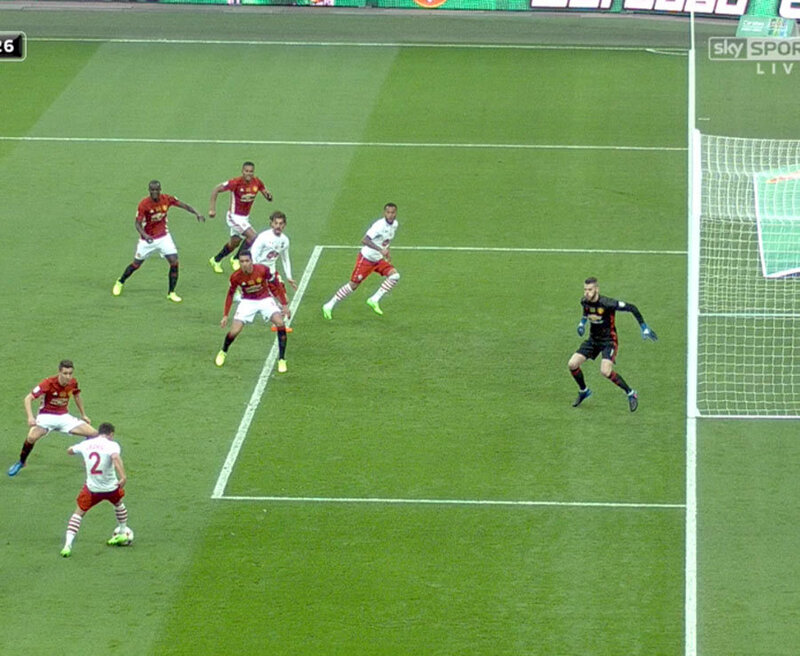 Should Manolo Gabbiadini’s goal been allowed against Manchester United? When Ibrahimovic powered home the decisive header at the death there was nothing Gabbiadini could do other than sit on the bench looking tearful as if he had just lost a family member. Talking of relatives, Gabbiadini worked as an apprentice mechanic with his uncle and cousins in a garage near Bergamo while he was an unknown teenager on the books of Italian club Atalanta. His favourite task was fitting new tyres on cars. But now it seems his feet are his fortune instead of his hands and while yesterday’s cruel defeat will hurt, Saints should still feel like celebrating because Gabbiadini is destined to prove a snip even at £14.5m. Some Saints fans mocked Puel for signing Gabbiadini from Napoli last month, joking that he had tempted former Sunderland namesake Marco Gabbiadini out of retirement. But they are not laughing at him now after five goals in his first three games.While Gabbiadini was the star for Saints, Nathan Redmond was an able assistant. There was no danger of England boss Gareth Southgate failing to notice Redmond stand out at Wembley yesterday, either. He has bleach blonde hair, for goodness sake. But there is much, much more to Redmond than his striking mop, which resembles a skunk, but never came close to stinking the place out. Redmond took United to the cleaners at with a dazzling performance from start to finish.Southgate might not like his choice of barbers, but he must realise that Redmond deserves the chance to cut it at the highest level. He must pick the versatile, skilful and quicksilver star in his next squad to see if he can continue to progress. Redmond was so good that he even outshone Paul Pogba, with the world’s most expensive footballer not even being the best player on the pitch with bleached hair. As for Gabbiadini – and despite his six Italian caps, until yesterday he hasn’t even been the most famous footballer in his family considering his sister, Melania, is in the Italian hall of fame. After atwo week break Liverpoolwill be refreshed and looking to putmanagerless Leicester to the sword tonight.The bookies certainly expect them to travel home with three points in the bag and Jurgen Klopp’s team are 8/13 for victory. The draw is 3/1 and Leicester are 9/2 as they go in search of their first league win of 2017. Leicester are yet to score a league goal this year and have failed to trouble the scorers in eight of their last 10 league matches. As a result, Liverpool to win without conceding is 9/5 whilst the 2-0 and 3-0 correct score bets in Liverpool’s favour are 7/1 and 12/1, respectively. Despite currently sitting outside of the Champions League spots, Liverpool are 3/5 to finish in the top four – ahead of Arsenal (5/6) and Manchester United (Evens). Leicester fell into the bottom three on Saturday and are now just 6/4 to go down.